One of the first and most revolutionary decisions of Gamal Abdel Nasser (1918-1970) was the adoption of a land-reform law, seizing all feudal estates and redistributing lands to the farmers, the fellahin. Large landowners, Egyptian or foreign, were dispossessed, and the nationalizations led to the departure of much of the foreign community. Another historic step was the acceptance of a Soviet offer for the rearmament and training of Egypt’s forces. The United States subsequently blocked a loan from the World Bank for the construction of the Aswan High Dam. 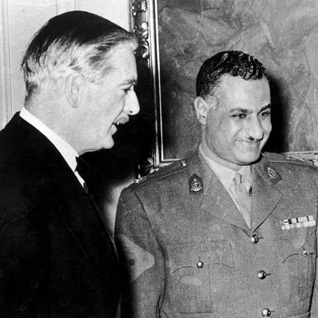 In response, Nasser nationalized the Suez Canal on 26 July 1956. Withdrawal was completed on 18 July 1956. Britain and France demonized Nasser as the ‘Arab Hitler’. Secretly, they agreed with Israel that it should invade the Sinai on 29 October 1956, providing the excuse for Britain and France to intervene militarily. Washington, fearing that Egypt would be lost to the Soviet Union permanently, pressured Britain, France, and Israel to cease hostilities by threatening them with economic consequences. Nasser emerged as a champion. His charisma and his ideology of Arab nationalism made him immensely popular among the Egyptian and other Arab masses. Egypt became the frontrunner of anti-colonialism, supporting liberation struggles in northern Africa and the Arab region. On the basis of this success President Nasser – with India’s Pandit Nehru, former Yugoslavia’s Tito, and Indonesia’s Sukarno – came to play a prominent role in the so-called Non-Aligned Movement. Much to America’s dismay, Egypt moved closer to the Soviet Union. Moscow provided financial and technical aid to construct the Aswan High Dam and delivered military hardware and training to counter the strengthening of Israel’s defence forces by the United States. In February 1958 the governments of Egypt and Syria decided to merge their countries and form the United Arab Republic (the union would last until 1962). After a series of incidents closely related to Israel’s efforts to control water supplies from Lebanon and Syria Nasser ordered the United Nations Emergency Force (UNEF), which was stationed in the Sinai Peninsula in the aftermath of the Suez Crisis, to be withdrawn. 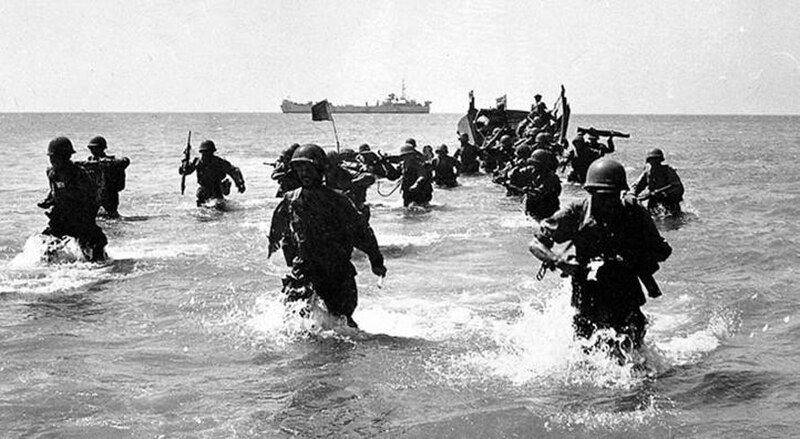 Nasser then sent in his forces and imposed a blockade on shipping to the Israeli port of Eilat through the Tiran Straits. Thereupon Israel launched a large-scale attack on Egypt and occupied the whole Sinai Peninsula within six days (hence the name Six Day War or June War of 1967). During that war Israel also occupied the Gaza Strip (administered by Egypt) and the West Bank, including East Jerusalem (annexed to Jordan) and the Golan Heights (Syrian territory). The Suez Canal was closed and would remain closed for the next eight years. Arab governments were humiliated by the devastating defeat; in fact, Nasser was so affected that he announced his resignation as president. Popular support forced him to continue in office, but in the long run, the glamour of his personality could no longer hide the economic mismanagement. 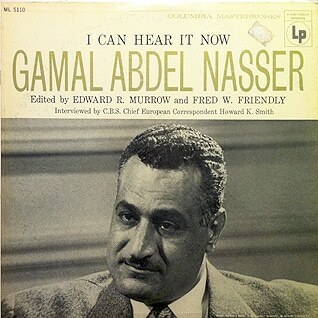 As political dissent increased, Nasser’s regime responded with more repression. All political parties were merged into the Arab Socialist Union, and the state security services interned many opponents of the regime. 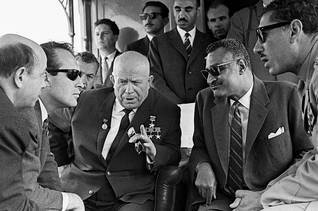 Nasser died of a heart attack on 28 September 1970, leaving the fate of Egypt in the hands of his vice-president, Anwar Sadat (who had belonged to the Free Officers Movement). Millions turned out in the streets to mourn Nasser’s death. Although the country was in dire straits, Nasser had, during his presidency, achieved social progress through radical political and economic reforms. Higher education was opened to everyone, regardless of social class, and public health-care facilities had improved immensely. Nasser was the first native Egyptian since the fall of the pharaohs to lead the country. He left a tradition of political thought that is still popular among Egyptian intellectuals. The ideology of Nasserism is difficult to summarize: it is revolutionary, nationalistic and pan-Arabic, secular, anti-imperialistic, authoritarian, socialist, and, above all, strongly associated with the man himself. After Nasser’s death, Nasserism morphed into as many varieties as it has proponents, who can be found bickering about the true legacy of their charismatic president. He remains, however, the only Arab leader after whom a political ideology was named, that persists in a political party after the recent Egyptian revolution.